Date: Nov 8 2018, 5 p.m. - 6:30 p.m. Joining the Youth Swim Club is a great way for kids (Ages 7-17) to get active, develop their swimming kills through swim team stroke technique and endurance training. Emphasizes team sportsmanship and must of all fun! 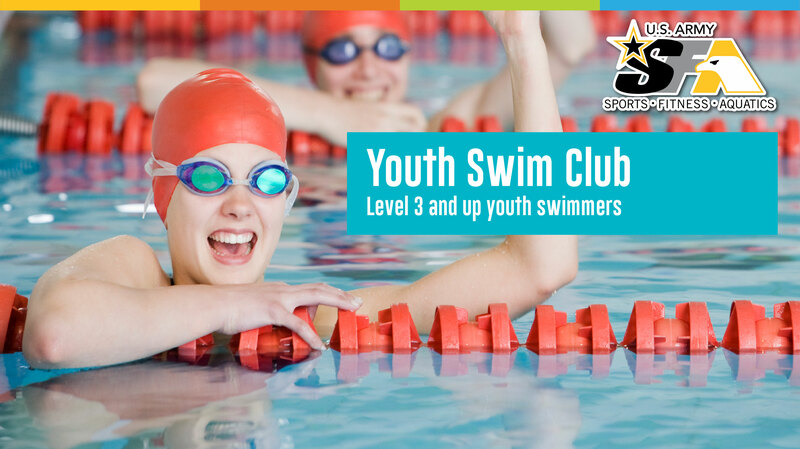 Youth must be able to swim at a Level 3 and above and have past the pool swim test. Tuesdays and Thursdays: 5-6:30 p.m.
*Monthly fee per child due at the beginning of each month. For registration or additional information, please stop by Sports and Fitness Center or call the Pool/Aquatics program at (907)873-5665.